This popularity could stem from the fact that it was called Harry Casino when it was introduced in 2011 and only got it’s new name back in 2014. Along with the name change, the whole casino got revamped and the result was an improved design that further enhanced the games experience of any player. This site predominantly markets itself to South Africa players, but players from other jurisdictions and territories are also welcome to sign up. 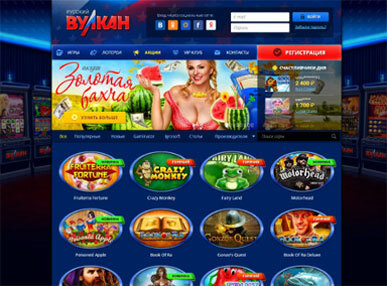 It provides numerous variations of games which can be played right on the website of the casino. In addition to that, gamers can play their favorite games while being on the go, just by downloading the free mobile casino app. A quick login would show that the games are regulated and completely fair, in line with the criteria of the license it holds from both the Malta Gaming Authority and the UK Gambling Commission. Every player knows, playing a desired game at Mr Smith Casino or any other Casino South Africa for that matter, is something that can only be done once a sign up then deposit has been made. At this online casino, there are numerous varying titles available from slots to table games courtesy of different gaming software developers like Evolution Gaming, GTS, Microgaming, and NetEnt. This means players can access numerous high-end slots such as NRVNA: The Next Experience, When Pigs Fly!, Muse: Wild Inspirations and Grim Muerto. For those players in love with progressive jackpots, there are plentiful at this casino with titles such as Mega Fortune Dreams, Jazz of New Orleans and the Isle of Plenty. A live casino is also available at Mr Smith Casino to cater to players that want a bit more excitement and action. There are a couple varying live dealer games available ranging from variations on blackjack, roulette, and Baccarat. There are also a could table games with the list constantly being updated. As stated earlier, players will first need to add money via a deposit before they are able to benefit from any promo codes, free chips or free spins, Mr Smith Casino has to offer. For a deposit to be made, players will have to head through to the payment options section of the site and locate select any payment method they so desire from the available list of options. Some of the options available include debit and credit card from MasterCard and Visa. The other more popular payment option at this online casino is by eWallets with Neteller and Skrill the only options available. Withdrawals could also be made using the eWallet options in conjunction with bank transfers. Bank transfers typically take a couple days to process while eWallets are instantaneous, as the winning reflects with no under delay whatsoever.